To mark the 100th birthday of late President Ronald Reagan, HBO is premiering the documentary Reagan at 9pm ET, Monday night. Director Eugene Jarecki‘s film is a clear-eyed assessment of the Reagan myth, and the reality behind it. Despite the polarizing nature of its subject, Reagan largely steers clear of extreme worship or revulsion, examining The Great Communicator’s life in cooler terms. In an exclusive interview, Jarecki spoke with Mediaite about what went into the making of Reagan, and what was left out. 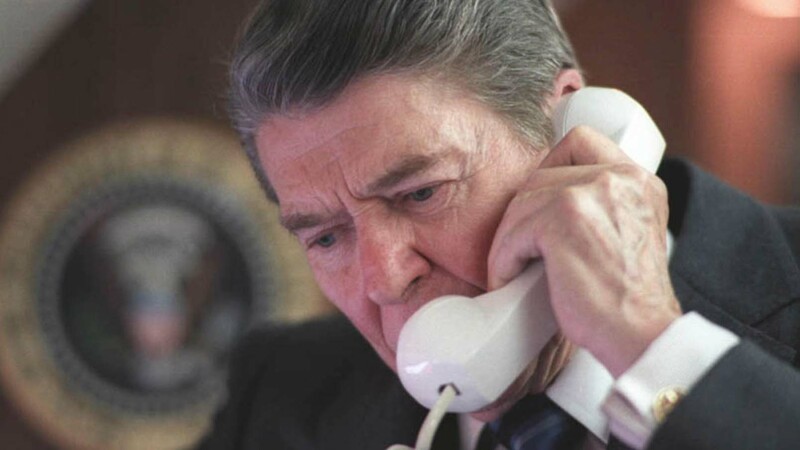 Reagan is a film that may disappoint viewers who have already formed strong opinions about Ronald Reagan, pro or con, but for the broader audience, it’s as good a doorway into an important life as 104 minutes will allow. The film is well-paced, and strikes a balance between archival footage and talking head interviews (with the likes of Ron Reagan, Grover Norquist, and Thomas Franks) that eludes many political documentaries, and avoids pitfalls like an over-reliance on period music to evoke the various Eras that Reagan’s life spanned. What’s left, then, is an honest overview of a man who looms too large in our history, one which attempts to take the measure of the man with a surprisingly cool temperature. It’s not necessarily the kind of film you would expect from Eugene Jarecki, the filmmaker behind 2006 Sundance Grand Jury Prize-winner Why We Fight. In an exclusive interview, Jarecki explains why he made this film, what Reagan left out, and what Reagan means to today’s polarized media landscape. Mediaite: Some who watch this film will say you went to easy on Reagan, others will say you were too hard on him. Do you think you erred on one side or the other, and why? Eugene Jarecki: I think we get both reactions, and I think when you’re dealing with a subject as controversial as Ronald Reagan, if you’re leaving everybody feeling a measure of frustration, it means you’re not satisfying their side of a very polarized discourse, and I don’t want to perpetuate the polarization. On the one hand, it’s puzzling, because there are certain elements of Reagan’s career that I passionately feel are in need of real, deep rethinking. There’s no question that, from that standpoint, there are aspects of me that are very much a critic of Reagan. At the same time, I think that, for far too long, Reagan has been the stuff of extremism on both sides, and that extremism doesn’t shed light on the real lessons that should be drawn from his career, so I have to take that frustration as part of an exercise to try to restore sanity to this. I made a very careful choice in the way I went about exploring his strengths and weaknesses, because if I were to have only explored his strengths, a whole audience would have found just another hagiography in the film, there’s been enough of that, and if, by contrast, I had just made an attack on Reagan, and there hasn’t been much of that, that would speak to one audience, and alienate another. I don’t think there’s any great benefit in that, people are already so polarized by the mainstream news cycle that I don’t think there’s any purpose in a documentary sort of deepening that polarization, calcifying it. Mediaite: Were there things that you thought about including, but didn’t, and can you explain why? Eugene Jarecki: Sure. There were certain anecdotes that I thought were very compelling when we were editing the film that, in the interests of time, fell away. And also, in the interest of striking the right balance of where were the features to his broader career. This is a film that was going to cover his whole life, so sometimes, an episode that was very poetic, or suggestive of an area of Reagan’s personality, which I had once very much wanted to have in the film, would suddenly, just as a matter of screen time, would give it disproportionate significance alongside other larger chapters in his life. So part of the challenge of capturing the whole life of someone is that sometimes, the most beautiful stuff is in the details, and in a film that is covering that much time and reach, there just isn’t room for that kind of thing. There were a few things of those, but in general, in terms of broad areas, domestic policies, foreign policy, the rise of his anti-communism, the birth of his skills as a salesman, and the evolution of those skills across the decades, and into the White House, there were certain areas that I knew I could show, but at the end of the day, I wanted to make sure there was time to address the contemporary role in which Reagan is so used, and abused, by so many as a kind of an instrument for the selling of their privately held programs. And that was something I knew the film would have to preserve some time to deal with, because you can’t experience America today without noticing the phenomenon of Reagan mythology that dominates so much of our public discourse. Today’s his birthday, and it’s the culmination of decades of turning Reagan into something he wasn’t for the political convenience of people in America who use Reagan for their own purposes. Eugene Jarecki: I thought the Born in the USA episode in general, is a very poetic example of Reagan’s own misuse of Springsteen’s music, and more broadly, certain sort of folksy American ideas which were used to package what were otherwise programs that would be unattractive to the public. For him to use Born in the USA for his candidacy was something that was quite the opposite of the song’s intent is very typical and demonstrative of the very concerns I have about Reagan. Having said that, I thought the only way to tell that story would be to include Bruce Springsteen himself in the film. We did reach out to Bruce Springsteen through his management office, and we didn’t get anywhere in encouraging him to participate. Without that, I felt it would be an undertold story that could, perhaps, be told better in another way. Mediaite: Having lived through the Reagan Era, there were a lot of these weird, scary episodes like the one where he said on the radio “We launch in 5 minutes,” and while you spoke more broadly about the Cold War, there wasn’t much about those. 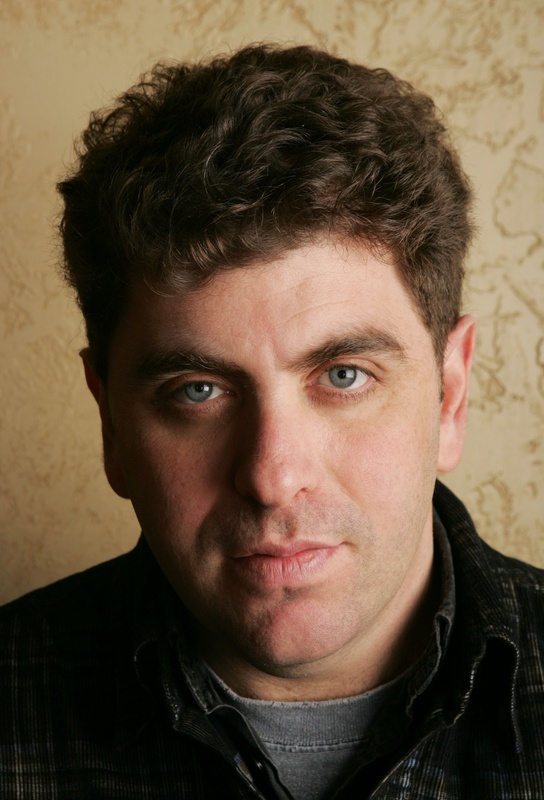 Eugene Jarecki: Over time, Reagan’s life is a million of those, for every joke he makes on the radio about launching bombs, there’s also a “There you go again” quote, or a “Go ahead, make my day” quote, and I felt like all of that has been covered very heavily in this media which, today, makes us either marvel or laugh at Reagan, and I don’t think either of those is politically constructive. I don’t think Reagan is primarily funny, and I don’t think he’s primarily marvelous, he’s complicated. I wanted to do something that hasn’t been done before, which is to take the Reagan years, of his life and presidency very seriously, as something that needed to be looked at critically, and with an eye to real learning about how we should be moving forward as a country, today, in the shadow of those ideas, those that were good, and those that were bad. That was undoubtedly a quizzical and baffling moment to see a public figure make light of nuclear weapons dangers, and to do so in a way that could’ve proven risky, but that’s not a larger point that I was looking to make about Reagan. We all make jokes, so what’s the message, that he’s not supposed to make jokes? I mean, there’s no message in it, even though I understand that it underscores a certain macabre reality about the Cold War, that an offhand remark could have launched Armageddon, but that’s true of nuclear weapons, per se, and not specific to Ronald Reagan. It’s not as if he’s the only President who made a joke about the football, or made a joke of the nuclear danger, it’s a gallows humor that everyone engages in, so I don’t have a real point to make with it. …He is supposed to be able to make jokes. Is he supposed to make jokes on a microphone by accident? Nobody’s perfect. Is it terrible that we live in a world where an offhanded joke by an entertainment-oriented President could cause a war? Yeah, that’s bad, but that’s not the point of this film, and that’s not the primary battle, intellectually, that I was hoping people would come away with about Ronald Reagan. I also would have loved to have made a longer film, but I recognize that people only have a certain attention span, so I was always cognizant of the length. Mediaite: You also didn’t touch on the issue of reagan and race-baiting, in particular the “welfare queen” business, but also more broadly. Eugene Jarecki: I thought Reagan’s handling of race was part of the argument I made about his handling of class, of poverty, and of everyday Americans, and the struggles that they were increasingly having under his ecpolicies. When his son, Ron, talks about his blind spot, and you see the lines of poor people, black and white together, struggling under the sort of soup kitchen reality that he put forward, I felt that sort of spoke for itself. Making a specific agenda out of Reagan’s treatment of race is something that I feel strongly, I feel that Reagan did have a blind spot about race, like many older white men who run this country in repeated cycles, but we tried to cover that by dealing broadly with his inability to have shown what I think would’ve been the necessary sensitivity to the concerns of the poor, broadly. I’ve watched Reagan, in archival footage, interact comfortably with African American people, he didn’t seem to have much of a problem with it. As his son, Ron, and others have pointed out, he seemed to have a particular difficulty with groups, and particularly with groups that represent classes, like the poor. One of the things I took out of the film, it will be on the DVD, is of a vignette that we had in the film about Reagan’s pen-pal relationship with a young African-American kid in Washington who he reached out to, and adopted as a pen-pal, and spent seven years writing to, back-and-forth, very personal, intimate letters. They’re wonderful, they’re exemplary, they were heartfelt, they’re real, they were not a PR stunt, the press barely ever heard about it. We came into possession of the footage quite by surprise. And so, I could’ve included that as well, and it would have painted the picture of a man who didn’t have a problem with race on an individual level, but on a group level. But I thought it would have skewed the balance, again, in the wrong direction, saying, “Well, yes, he might have been pretty bad for black people as a group, but he did have this one black friend,” and that’s the downfall of sny proper political analysis about race, so we avoided that. But it means that there are things the movie had to dance around. I have to fashion something in an imperfect world of running times, people’s expectations, the degree to which people have been propagandized about this stuff, and do the very best I can not to see my movie as an end in itself, but as a means to a better discourse. It’s hard, I would love to make the movie that’s the last word on something. Who wouldn’t? But if you make something that’s the last word on something, you’re by definition saying there are no more words after it. I would like to change the discourse, not end it. Eugene Jarecki: Yeah, but I don;t mind you making it, because I get to answer some of the areas that I would like to see more dialog about. I’d love for you to write about his issues with race, I’d love to see you write about his slip with nuclear saber-rattling on the radio, and the enormous danger that that underscores, and the misguidedness of some of the policies, those are al very valuable things that I hope others will pick up and run with. In a way, maybe we’re making up for some of the shortcomings of the movie, and that’s okay. My goal is to promote better dialog. If it means that that happens because people feel the need to go farther than I went, that feels good to me. Mediaite: Reagan was called the first “made for TV” President. How do you think he would do in today’s new media environment? Eugene Jarecki: Well, I think it’s like asking how Jesse Owens would do in a race today, or how the tennis players from the Golden Age of tennis in the 60s and 70s would fare against Nidal. Basically, these people contribute to the evolution of a game that then grows further in the direction that they started, than they could ever have, and so to imagine them now would be to ask how would a horse and buggy do against a Ferrari? These qualities in the american landscape grew from the initiation of Reagan, and I think Reagan would seem far less, for good and for bad, he would fall away from this currency, because I think it’s an over-exaggeration to imagine this has all come from him. He was present at the creation of a lot of all of this. I think the landscape is far more analytical now, in that every little word is parsed and studied by a myriad of sites and avenues, but there’s also a lot more propaganda and circus in the mix, in large measure due to things like Reagan having gotten rid of the Fairness Doctrine, so we now have airwaves that have totally run amok. There is so much circuit-jamming propaganda in the system that it would be hard to imagine him, or anyone, getting a coherent message across as once was possible. I think he did a great deal to undermine the power and cleanliness of our airwaves, and as a result, he, too, would suffer from that. Mediaite: Given what you’ve said here, do you think that if there hadn’t been a Ronald Reagan, that we would still have a Sarah Palin? Eugene Jarecki: I think Ronald Reagan, incorrectly interpreted, is a figure who legitimizes the politics of ignorance, but to think that that’s who he really was is to misunderstand that he was a very smart person, who really did know where places were on a map, who really did understand political dynamics in the world, and spent a great deal of his life devoted to learning about that and trying to do his best to act on it. I have criticisms of Ronald Reagan, but he lives in another universe from the kind of political theater that is represented by people, like Sarah Palin, who aren’t really public servants. These are people that are pursuing a very private agenda that includes very high speaking fees, and book deals, and tremendous amounts of resources muscle behind them for their own aggrandizement. I learned recently that Palin is trying to patent her own name. So, we’re dealing with a different breed of person. Ronald Reagan, whatever his pros and cons were, was a public servant in the end. I think there are many people you see today who are not public servants, they don’t have public service as their primary goal, but they want to use him to legitimize themselves. Would they have been possible without Ronald Reagan? They would not have been possible were it not for their mistaken interpretation of him, but I don’t want to lay that at his feet. That lays more at the feet of those who have mythologized him, and corrupted our understanding of him. Mediaite: What do you think Reagan would make of the Tea Party, and they of him if he was a candidate today? Eugene Jarecki: I can’t answer for Reagan, but I can tell you that he was a very serious thinker in matters of the public interest, and I think he would see the political theater of the Tea Party as largely theater. Many people I’ve spoken to who knew him, who have a stronger view of him than I can possibly have, made clear that though there was a theatrical dimension to his time in office, that he was very good at photo-ops and things like that, that is a far cry from this theater of enforced stupidity that the Tea Party implies. The Tea Party is a group that rejects deep thinking, it rejects the very complex analysis that is involved in public policy, it rejects the kind of textured decision-making that Ronald Reagan prided himself on. That was made clear when, earlier this year, there was an effort by some of these contemporary so-called acolytes of Reagan to create a purity test based on their false interpretation of Reagan, meaning that they decided they were going to define 10 or so characteristics they thought were Reagan-esque. Well, it turns out Ronald reagan failed that test, which really underscores the giant gulf between the reality of Ronald Reagan, and their delusions about Ronald Reagan, the myths that they have promoted of him. I think at that point, these people lost their legitimacy as messengers about Ronald Reagan. Now, I think they’re just grasping at what brand they can attach themselves to, whether it’s a reality show, or patenting your own name, or the next splashy book you can release, because Reagan is failing, Reagan is a very different breed than they are. Mediaite: One surprise in the film is the fact that there’s an actual organization dedicated to naming things after Ronald Reagan. Is there any other President who has such an organization or effort devoted to something like that? Eugene Jarecki: Not that I’ve heard of, I think the level of organization and resources that are being deployed to try to Reaganize the American landscape in a way that is contrived, that I think is new and different. I think in other cases, people just saw presidents who retained relevance to the American people naturally, finding their way to statues and engravings on buildings, and other memorabilia. I think in Reagan’s case, what’s so telling is that the people who are trying to this actively, obviously doubt that, left to his own devices, he would find his way to that relevance. They feel the need to artificially promote this kind of phenomenon, and that speaks volumes. Frankly, I think Reagan, left to his own devices, would do a far better job of representing himself than these people by taking their own ideas, fraudulently packaging them in Reagan’s image, and then mounting statues to their own ideas. These are just people trying to promote their own political agenda, and they found a clever way of doing so, and unfortunately, Reagan undermines them. Mediaite: You’ve effectively laid out the conflict between myth and reality regarding Reagan. Now, we have a President, Barack Obama, who’s fighting that same battle, for good and for bad, in real-time. How do you think that’s going to play out for him? Eugene Jarecki: I think that Ronald Reagan came into office at a time when America was struggling, as we are now, and I think that Jimmy Carter tried, clumsily, tried to warn America that what we were experiencing was an internal crisis, in our definition of freedom, that our definition of freedom had come to be materialism, and that implicit in materialism is an over-reliance on foreign oil, and implicit in that is a loss of the very freedom we hold most dear, self-determination. That being addicted to foreign oil will cause us to lose our true freedom as Americans. He tried to warn Americans about it, it’s a frightening warning, it would’ve required a great deal of sacrifice and internal change. I don’t think we were going to be fine, and in many ways, Reagan, by making us forget, caused us to be unprepared, and then with his policies, deepened the problems. So Barack Obama, who also faces challenges that he must address, I think would be very well served to be willing to be as unpopular as Jimmy Carter was willing to be, because I think he is a far better communicator, who could take the same kind of message about sacrifice, the same kind of message about real change, change we can believe in, and stick to it. Instead, what he has done, having the State of the Union address, and not mentioning climate change. This is the classic technique of trying to avoid upsetting the public, to avoid suffering short-term political losses that I would argue Obama, whose approval rating is much higher than Reagan’s right now, could do with telling the truth, even if it means taking a hit in his popularity. I think the courage to take the hit in your short-term popularity can pay great dividends in the long run, and conversely, trying to shore up your short-term popularity will undermine you, and the country, in the long run. I think that Reagan teaches us that.